+ Walt Disney’s immortal words gracing the park entrance. + Starbucks done the Disney way. Props to the cast member who called me Princess Belle. 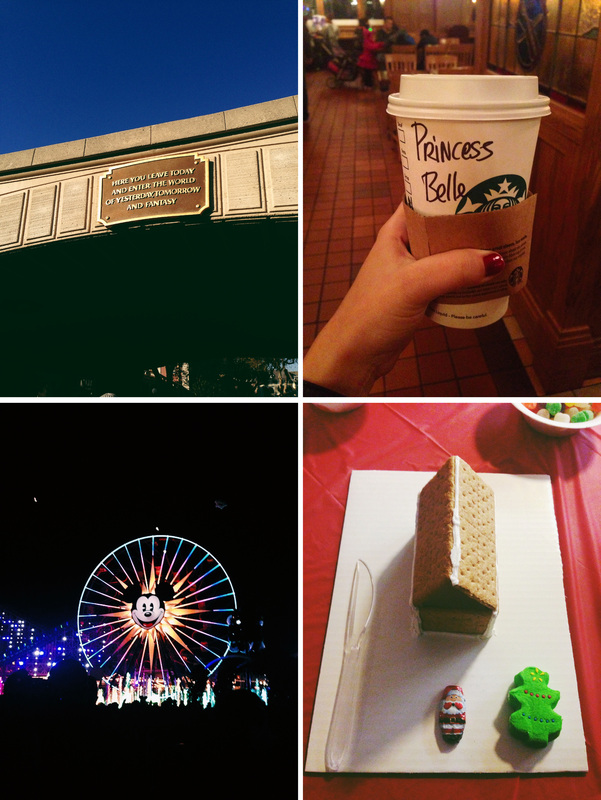 + World of Color, Holiday edition. // Speaking of, if you haven’t seen Frozen, please do so just for the adorable snowman. Sunday was spent furiously Christmas shopping followed by a gingerbread house decorating party to celebrate my cousin’s birthday. + The cutest Christmas pancakes you’ll ever see. + Inside Nike’s Innovation Kitchen with Tinker Hatfield. Almost Christmas! Hope you’re enjoying the season!